I like the general shape of the stool, and the incorporation of bronze. Wedged tenons through the seat will look good as another design element. I might try shaping the underside of the seat to mirror that of the top, as well as thinning the legs. 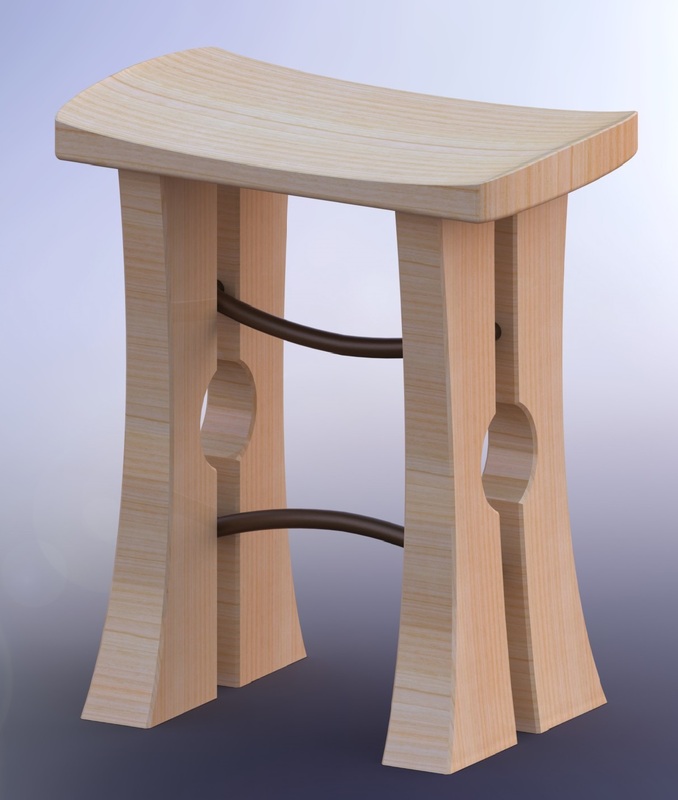 PS: Thanks for helping spread the word about the Shop Stool Build-Off! Good idea on shaping the bottom of the seat to match the top, that will really help. The legs are definitely “clunky”.